Captain of Club Finland. Founder of Glacier Racing and GlacierTV. A man, who gets things done and is never afraid to voice his opinion. That is Joni Bäckman, in a nutshell. Joni started out in simracing way before the times of laser-scanned track surfaces, force feedback or LCD monitors. In 1986, he got his hands on a game called Pitstop II, but what really sparked his interest was “neighbourhood kids playing IndyCar Racing II”, as he put it. During those days, the competitive scene consisted of sending your best laptimes onto website leaderboards, preferably with a valid replay file attached. It was a simple way to compare yourself among other drivers, and usually Bäckman’s name was either at top or very close to it. However, his wheel broke, and so did his interest in any sort of gaming. Fast forward 20 years. 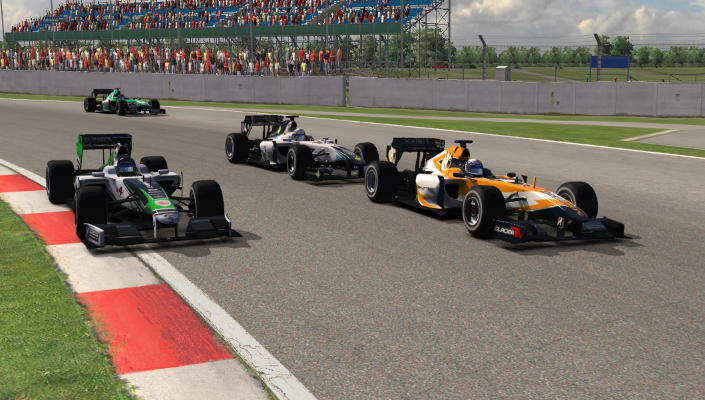 Joni Bäckman has just finished 5th in the iRacing Grand Prix Series and earned his Pro-license, proving finally that he belongs among the finest road racers out there. All that with a single monitor and unmodified Logitech Driving Force GT. To quote 4-time World Champion Greger Huttu, “[expletive] alien”. 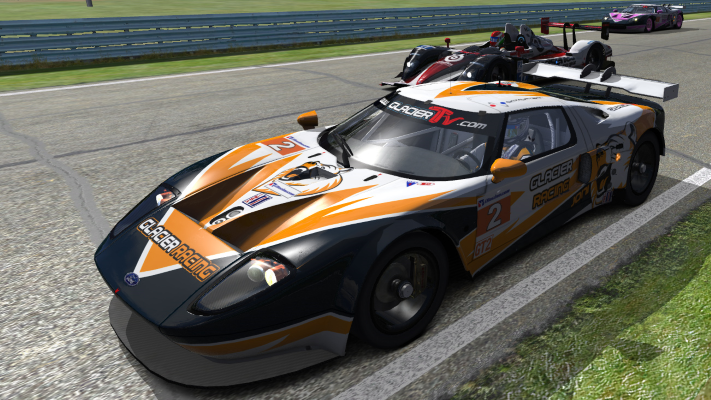 Since joining iRacing in 2010, he has honed his craft in various cars and classes, perhaps most notably in Corvette C6R and Ford GT2. As always among the elite, the competition was tough – and there was some friendly fire inbetween, too. The numerous battles with fellow Finns such as Joni Hagner and Kimmo Suominen are still replayed occasionally, and showed as an example to the younger generation. Battling it out with Kimmo Suominen (on top right) at Watkins Glen. This is as far as they got from each other. As mentioned earlier, Joni Bäckman is the founder of Glacier Racing, and subsequently GlacierTV. Both have become household names among simracers nowadays, but how did it all start? It showcases what kind of a person Bäckman is, and also showcases just why this team is so successful. To other people, he is a fast driver. To fellow Finns, he is a coach and a mentor. To Glacier drivers and team members, he is something more. A friend, and the voice of reason. Many drivers have cited him as a real help to their development, and the results speak from themselves. 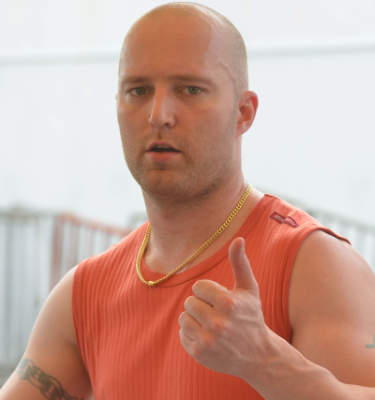 If you think this man is just an ordinary simracer… Think again. Q: Favourite car & track? Q: Do you listen to music while driving? And if yes, what kind? Q: What song gets you fired up? A: In general, Children of Bodom – Needled 24/7. Q: Choose 3 teammates with you to a deserted island? A: Pffft, why do they have to be teammates? I should hire some females to Glacier… Well, Petteri Kotovaara, err… I’ll have to open the list, this is quite difficult, but Petteri at least. Hm, Petteri, Joni Takanen and… Joni Hagner. Q: What 3 things would you change in iRacing? A: Some new stewards to review the protests, preferably ones who actually have some clue about racing… iRating gains for team events by car… Car-specific iRating. Q: Do you stream your driving? If so, where? A: Depends on the day and the type of race. Usually at twitch.tv/sfprivateer. A: Pork steak with french fries. Q: Finally, your favourite animal? A: Ehh… Hm. Probably dwarf rabbit.